Carly Mandel, Dean Erdmann, and Tiffany Jaeyeon Shin. UrbanGlass, the Brooklyn-based organization that aims to foster experimentation and advance the appreciation of glass as a creative medium, announced today that Dean Erdmann, Carly Mandel, and Tiffany Jaeyeon Shin will receive Visiting Artist Fellowships and Azusa Murakami and Alexander Groves of Studio Swine have been selected for its Visiting Designer Fellowships. The organization’s fellowship program was designed to provide artists and designers with the time, resources, and support they need to explore new ways to incorporate glass into their practices. The recipients were chosen based on their past work and proposals for new projects in glass by a three-member jury. During the yearlong fellowships, Erdmann will continue their ongoing investigation into working-class Americana; Mandel will reimagine medical objects in glass; Jaeyeon Shin will explore vitrification as a technology for racialization; and Studio Swine, which is known for blending poetry and research into immersive experiences, will explore the fluctuating aesthetics of plasma and ephemeral technology. Established in 1977 as the New York Experimental Glass Workshop by recent art school graduates Erik Erikson, Richard Yelle, and Joe Upham, UrbanGlass offers educational programs to around twelve thousand people each year, and over four hundred artists use its facility as their primary studio. Among those who have worked at UrbanGlass to realize projects in glass are Win McCarthy, Titus Kaphar, Monica Cook, and Jennie Jeun Lee. 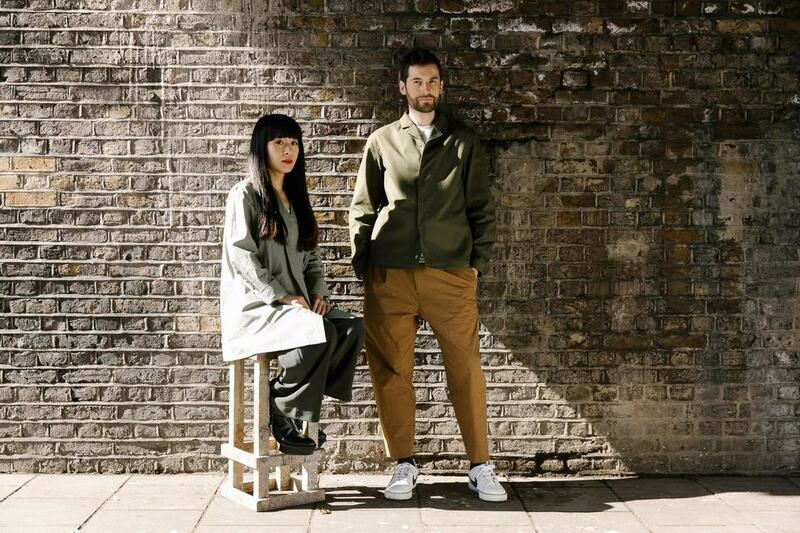 Azusa Murakami and Alexander Groves of Studio Swine.